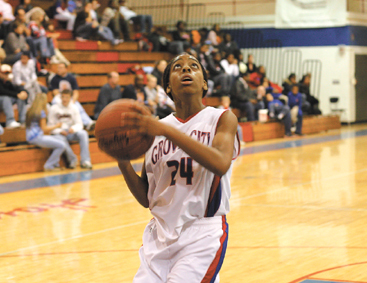 Grove City High School’s Ayrealle Beavers goes in for 2 of her 10 points in the Nov. 16 season opener against Canal Winchester. The varsity team played their first game at home. The Greyhounds started with a win, coming out on top 81-47. 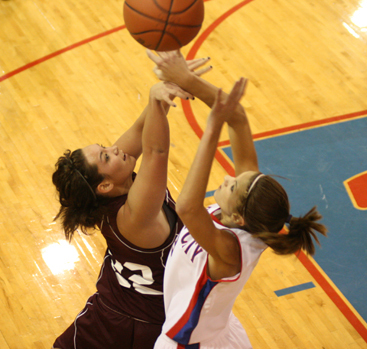 Pictured here the greyhounds and the Indians fight for the tip-off.